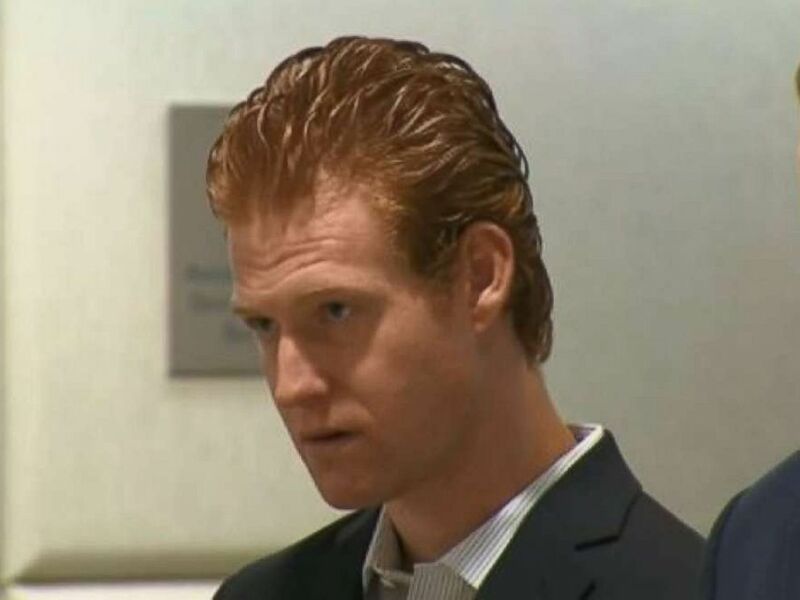 Redmond O’Neal, the troubled son of the late actress Farrah Fawcett, has been charged with attempted murder after going on a violent crime spree in which he stabbed two people, authorities said Friday. According to the Los Angeles Police Department, O’Neal allegedly committed a series of violent crimes in early May. The evidence was presented to the Los Angeles County District Attorney’s Office’s Airport Branch on Friday, according to Los Angeles ABC station KABC, which returned charges of attempted murder, two counts of assault with a deadly weapon, one count of criminal threats, one count of brandishing a knife and one count of battery. The charges come from a series of five separate incidents in Los Angeles. Redmond O’Neal has a history of court appearances, mostly stemming from drug arrests. O’Neal, 33, is alleged by police to have gotten into an argument and punched a stranger on the night of May 2. Hours later, on May 3 at 3:30 a.m., he allegedly got into another fight with a stranger and punched him repeatedly. On May 4, police say O’Neal stabbed a man near the Venice Beach Boardwalk, and then hours later another man was found lying in a pool of blood, stabbed in the face and upper body. Police say a man matching O’Neal’s description was seen on surveillance video near the scene. The next day O’Neal allegedly got into a fight at a coffee shop and threatened staff with a knife, police said. The spree came to an end on May 8 when O’Neal was arrested for armed robbery at a convenience store in Santa Monica, according to the Los Angeles District Attorney’s Office. He also was charged with possession of a smoking device, possession of an injection device and two counts of possession of a controlled substance, according to the district attorney. Police said they connected the earlier five crimes to the suspect while he was being held on the robbery charge. Redmond O’Neal, seen here at a previous court appearance, was charged with attempted murder on Friday, June 8, 2018, for an incident in early May. “They all seem to be random. It appears, though, based on what we know now, that it just started as an argument between unknown persons and quickly escalated with the violent acts,” LAPD Sgt. Scotty Steven told KABC. Redmond O’Neal’s father is actor Ryan O’Neal, who was in a relationship with Fawcett for decades. Fawcett, a ’70s icon who starred in the TV series “Charlie’s Angels,” died of cancer in 2009. Redmond was her only child. The 33-year-old has a history of troubled behavior. He’s been arrested multiple times for drug possession, including in 2008 and 2011. He pleaded no contest to heroin possession stemming from the 2011 arrest and was sentenced to five years of probation, according to KABC. He failed multiple drug tests, however, and spent time in prison in 2015, according to multiple reports. O’Neal is being held at Men’s Central Jail. His next court appearance is scheduled for July 10.